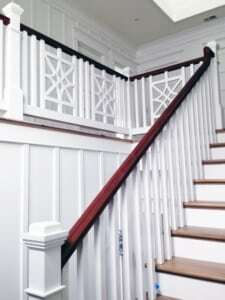 What Sets Our Custom Stairs Apart? Partnering with an experienced, trustworthy custom stairs provider is key to ensuring success in any residential or commercial build. With design aesthetics, timeliness, compliance, and safety/quality at the forefront, it is essential to select a staircase company with a depth of industry expertise and talent – across both the design and operations teams. Our team is committed to providing the best customer service with complete satisfaction in every project. This week, we share the benefits of our custom stairs offering and the values that set our company apart. We are proud to possess over 30 years of experience and to have earned one of the finest reputations in the industry. We maintain a strong commitment to meeting all project deadlines and delivering outstanding results – we will overcome obstacles that arise to ensure flawless execution for our customers. We leverage vast capabilities and a proven project management process to deliver the highest quality custom stairs, each and every time. 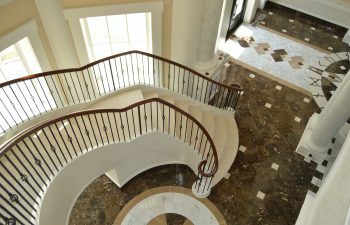 Our industry-leading design team embraces a challenge and works collaboratively with each customer to bring his/her unique custom stairs vision to life. We specialize in complex stair and handrail systems and leverage value engineering to find the perfect balance between aesthetics and budget. The design and style options are limitless when it comes to our custom stairs projects. Our team specializes in constructing stairs with wood and steel carriages, and we work with all types of balustrades including stainless steel, hand-forged wrought iron, wood, cable rails, and glass. Delivering top quality requires an outstanding team. Our talented craftsmen and installers are committed to constructing, delivering, and installing the industry’s best custom stairs and creating a seamless experience for our customers. We understand that you have high expectations, and we share them. We strive for flawless execution in every project. 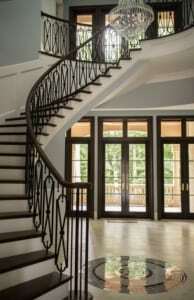 Our commitment to providing the best quality custom stairs has not gone unnoticed. With vast capabilities and the flexibility to work within budgetary constraints, we are proud of the reputation we have built. Our portfolio includes a long list of high profile projects throughout the nation. We have constructed custom stairs for residential clients including professional athletes, entertainers, and executives. Our custom commercial portfolio includes work for Hermes, Burberry, Lexus, Panerai, and Jaguar, among many others. From Beverly Hills to Boston, our team has provided custom stairs from coast to coast. We would love to share additional details regarding our capabilities and our approach to custom stairs design. Contact us to discuss the inspiration and vision for your upcoming project.